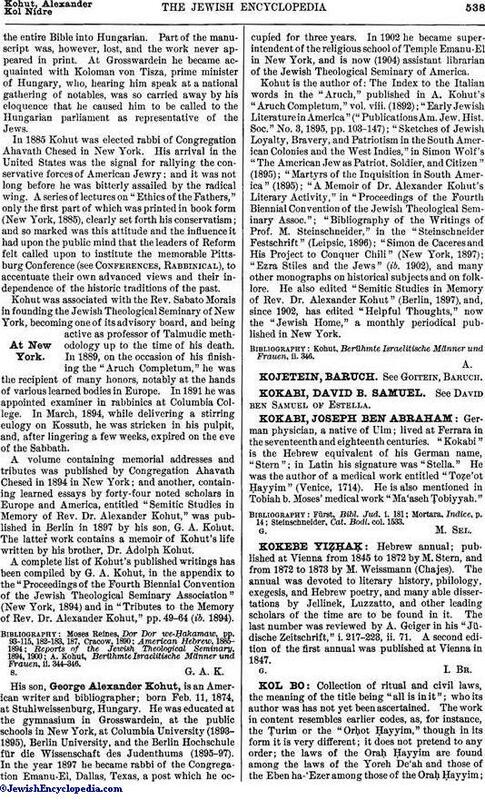 Hebrew annual; published at Vienna from 1845 to 1872 by M. Stern, and from 1872 to 1873 by M. Weissmann (Chajes). The annual was devoted to literary history, philology, exegesis, and Hebrew poetry, and many able dissertations by Jellinek, Luzzatto, and other leading scholars of the time are to be found in it. The last number was reviewed by A. Geiger in his "Jüdische Zeitschrift," i. 217-223, ii. 71. A second edition of the first annual was published at Vienna in 1847.